Your group (of up to 9 on Australis or 5 on Philos) can charter the entire vessel giving you total freedom to tailor your itinerary and activities to suit your needs. The cost for the vessel will depend on the destination. Each trip has a minimum duration that is outlined on the destinations page. For special trips please contact us and we’ll discuss trip duration and cost. A small group can combine with another booking to fill a charter. If both groups have a similar time frame this can work well. The groups will need to share the total charter cost. All these trips can be tailored to suit the requirements of your group & are subject to change by either you or the weather !!!! Trips to other areas can be discussed to suit your needs. Quoted fees are in AUD$ and include food while on board, fuel, port fees, permits, etc. Check Itinerary for details & availability. Do I need to have sailing experience? No, you do not need sailing experience. The vessels sailed by the ships crew, however you are welcome to participate as much as you like. When do I embark and disembark? Embarking – is on the first day of the charter, usually 8 or 9 in the morning of departure. Disembarking – is on the last day of the charter, usually the afternoon of arrival back in port. Will wet weather gear be provided? We are all different shapes and sizes therefore we can not carry enough wet weather gear for everyone, therefore it will not be provided. The best wet weather gear to bring is light Gore-Tex shells, then you can add layers underneath. Wet gear will be left in the wet areas – folksal and wheelhouse – the saloon and cabins are dry areas only. Where will the boat be in port? 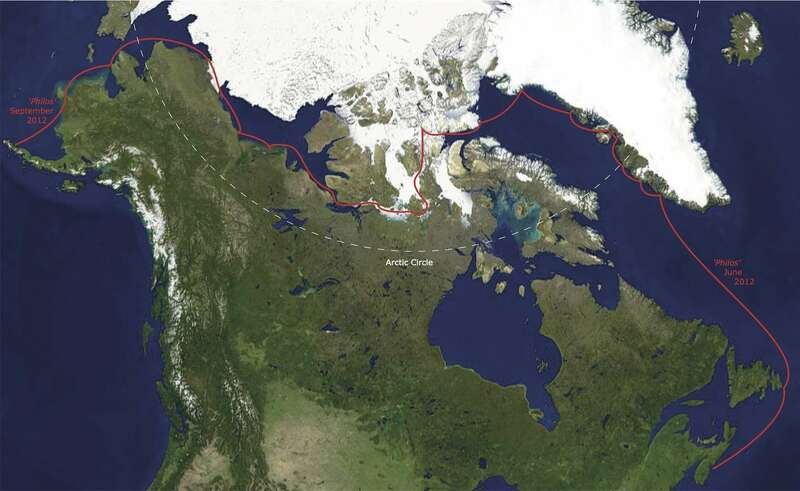 Philos – Departure ports varies a lot in the Arctic so much please contact us. What kind of power supply will be onboard? – 12 and 24 volt. – 240 volt at 50 Hz. Electrical outlets are 3-pronged flat pins. See illustration. Large continuous generators provide more power than anyone can use. – 240 volt at 50 Hz. Power supply is a little more restricted to when motoring. All 240 volt electrical outlets are 3-pronged flat pins. See illustration. FAQ DIDNT SOLVE YOUR QUERY?